I have a old turn of the century house and I am looking to have foam insulation installed in the walls. Can you do this work without a complete gut rehab? Yes we offer a low preacher pretext band and injection foam with an effective R-value of R-20. In a true 2x4 wall, this will bring you up to current energy code while drastically reducing your air infiltration. Is the injection foam used safe for my walls and home and is it opened cell or closed cell foam? We think the tri-polymer injection foam is the most effective and safest product on the market it is pre-expanded, so the risk of damaging walls is at a minimum. It flows much like a shaving cream solution would and then starts stiffening within 30 seconds. The product is a 60% close cell foam and 40% open cell foam making it a hybrid it has an R-value of 5.1 per inch and it also has a two hour fire rating. Watch our product being installed. Are there any other products I can use of my walls? Yes, you can install cellulose insulation with an R-value of 3.2 per inch. This gives you an R-value of R-12.8 in a true 2x4 wall. What happens when I have high amounts of moisture and make my house too tight? 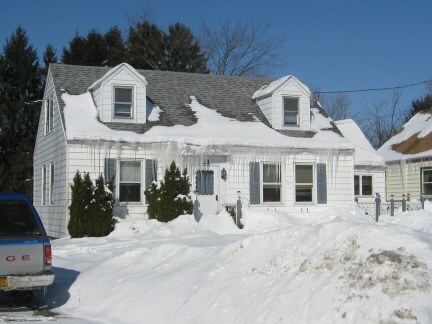 We can certainly make any house too tight with spray foam insulation. Too tight would mean 3.5 air changes per hour or less. Ashtray standard for indoor air quality requires a minimum of 3.5 air changes per hour. If you make the house too tight and don’t have enough proper air movement along with high quantities of bulk moisture, then you can promote mold growth and rot. You should find the root of the bulk moisture and fix that ensuring a safe and healthy home. What should I do if you make my house to tight? You can install a HRV\heat recovery ventilator or a ERV\energy recovery ventilator system, or you can use simple make-up airfan. Do you recommend door and window replacements and what will the payback be for those? Doors and Windows typically improve the resale of your house and aesthetics of your home, but typically have a long payback as the added R-value is not a very big gain. The very best R-value window on the market is R-3.3. Usually checking insulation and air sealing around windows have much better payback. The heating system that uses a thousand gallons a year and is 25% less efficient than it should be at $3.66 a gallon of home heating oil would waste $915 a year. What is a current R-value code in the state of New Hampshire? The state code is currently R- 38 for roofs/ceilings floors over exterior areas and R- 21 for your walls. Can I get to state energy code a 2 x 4 wall or do I need to frame that with the 2 x 6? Yes we can get you to code in a 2 x 4 wall with our closed cell foam seated. You do not have to spend money to frame out your wall in 2 x 6. Can you tell me what a hot roof is and how it works? Hot roof assemblies are also called unvented. It’s how the house is insulated. The thermal envelope is moved against the roof deck and closed cell or open cell foam is sprayed directly to the roof sheating, making it a monolithic unvented assembly. The paint my bathroom is peeling and there are signs of staining and mold growth. What I do to stop this? Every bathroom should have an exhaust fan if you don’t have one have one installed by a professional make sure it is vented to the outside properly. If you have one already installed and are still having issues, you may not have good airflow and it may need to be replaced. Do foam insulations still contain urea formaldehyde? There are many different brands of spray foam. None of the spray foams we use contain any urea formaldehyde. They are all polyurethane based. There are some injection foam products still on the market that do contain urea formaldehyde as the binder. They are known as Amino-plast foam insulation. Tripolymer insulation is a brand name of injection foam that we use. It is a phenolic base foam which has been proven to be safe and highly effective. Does spray foam need to be covered or can be left exposed? According to current building code, all spray foam needs to be covered by a 15 min. intumescent barrier. Paneling, plywood and sheet rock all qualify as a 15 min. barrier in attics and crawl spaces. Many application procedures and minicipalities require the foam to be coated with a 15 min. intumescent paint as a fire barrier. 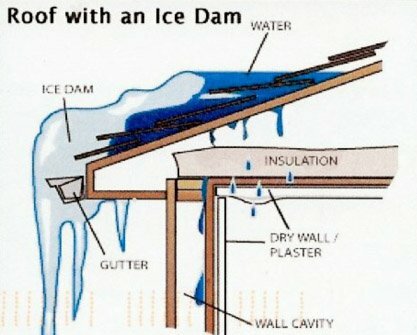 I have a lot of ice damming on my house, is this do to poor insulation? 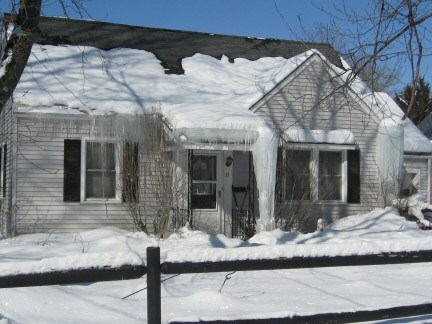 Yes, typically you have a lot of air leakage or poor insulation causing heat to melt the snow and it re-freezes on the bottom of the roof, where it is cooler, backing up causing water damage ,mold, and unhealthy living conditions.